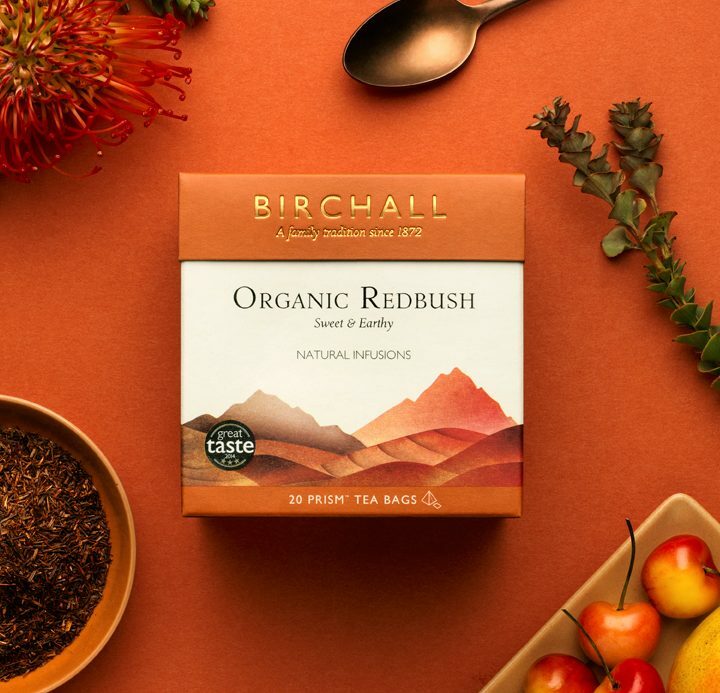 Our Organic Redbush tea is a classic red rooibos tea made from the soft needle-like leaves of the wild South African plant, Aspalathus linearis. Our organically grown, pure origin redbush produces a gently hydrating infusion that is rich in anti-oxidants and naturally caffeine free, making it a light and healthy way to lift your day. In our pursuit of quality we have expertly sourced the best grade rooibos of all from the majestic Cederberg Mountains in South Africa’s Western Cape Province. This gives Birchall Organic Redbush its deep red colour, soothing aroma and clear naturally sweet taste. Our Organic Redbush tea can be enjoyed anytime but we particularly enjoy it well earned and when you want to relax in the afternoon and treat yourself after achieving everything you set out to do that day.